As part of our Growing Minds @ University project, the Growing Minds team is a preceptor to Dietetic Interns during their community rotation. 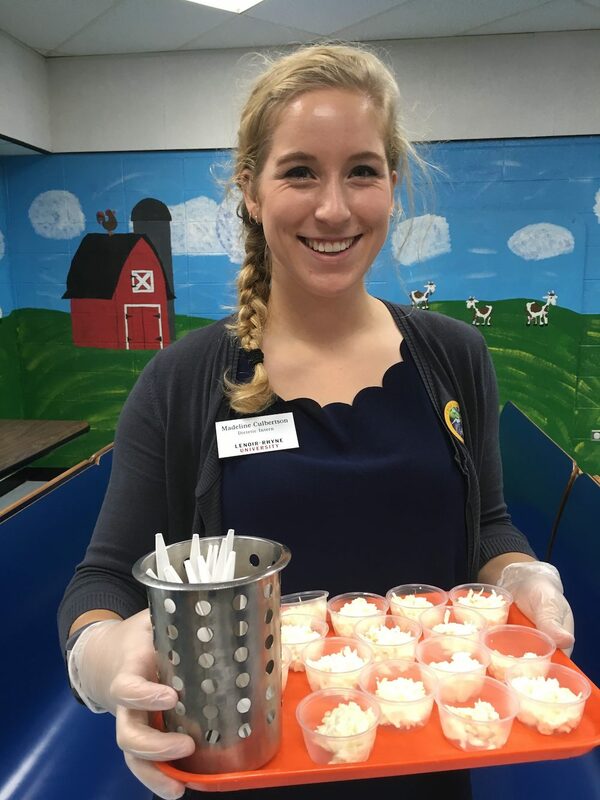 This fall Maddie from Lenoir-Rhyne University worked with us to provide local food and farm to school activities to our community. As part of her time with us she compiled some of her favorite fall recipes using local produce. ASAP’s mission is to help local farms thrive, link farmers to markets and supporters, and build healthy communities through connections to local food. There are many reasons to buy local, but one of the best reasons is flavor. Produce that doesn’t travel far is fresher and Asheville’s local tailgate markets feature an abundance of farm fresh produce and artisan goods every week. 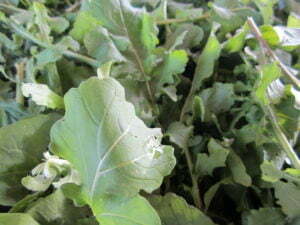 Season to season, produce found at local markets are distinctive and inspirational to cook with. When the leaves start to fall and the air turns crisp, produce like winter squash, apples, onions, and leafy greens showcase the seasons best flavors. Fruity desserts, warm soups, and savory sides can compliment warm and cozy memories with your friends and family. Let these fresh autumn recipes kickstart your fall menu planning for this season and dig in! This plant-powered salad includes arugula, feta cheese, and nutrient-dense lentils. Also in the salad is the seasonal local produce item butternut squash, which is a great source of immune-boosting vitamin C, eye-healthy vitamin A, and potassium. 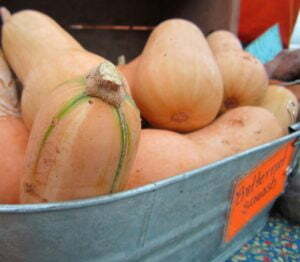 Keep an eye out for winter squash at your local farmers market! Place squash, oil, 1/4 teaspoon salt, and pepper in a bowl; toss to combine. Spread mixture in a single layer on a foil-lined baking sheet. Bake at 400°F for 28 to 30 minutes, flip once halfway. While the squash bakes, place lentils in a medium saucepan. Cover with water to 3 inches above lentils; bring to a boil. Reduce heat, and simmer 20 minutes or until lentils are tender. Drain. Stir in remaining 1/4 teaspoon salt, cumin, and red wine vinegar. Let stand 10 minutes. Arrange arugula on a plate. Top with butternut squash, cooked lentils, and cheese. Drizzle tahini dressing over top. Delicious, simple, beautiful, and healthy, this meal is perfect for getting into the swing of the fall season and conveniently comes together in one pan. One pot meals help the flavors cook together wonderfully, and you can enjoy the fall weather while shopping for apples and onions from the market! Heat a large skillet over medium-high heat. Add 1 1/2 teaspoons oil to pan; swirl to coat. Sprinkle chicken evenly with 3/8 teaspoon salt and 3/8 teaspoon pepper. Add chicken to pan; cook 4 minutes on each side or until chicken is done. Remove from pan. Combine stock and mustard, stirring with a whisk. Add remaining 1 tablespoon oil to pan; swirl. Add remaining salt and pepper, sage, rosemary, apple, and onion to pan; cook 4 minutes, stirring occasionally. Stir in stock mixture. Return chicken to pan; cook 3 minutes or until liquid is reduced by half. Feeling adventurous? Try this off the beaten path apple, goat cheese, and pecan pizza. 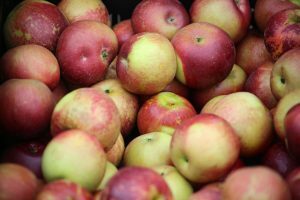 The apples and arugula are seasonal produce items that can be found at your local farmers market! The ingredients melt together in a blend of flavors for an exclusively fresh and tasty dinner. Combine oil, dijon mustard, lemon juice and honey in a medium bowl, stirring with a whisk. Add arugula; toss gently to coat. Sprinkle pecans evenly over pizza; top with arugula mixture. Cut pizza into 6 wedges.